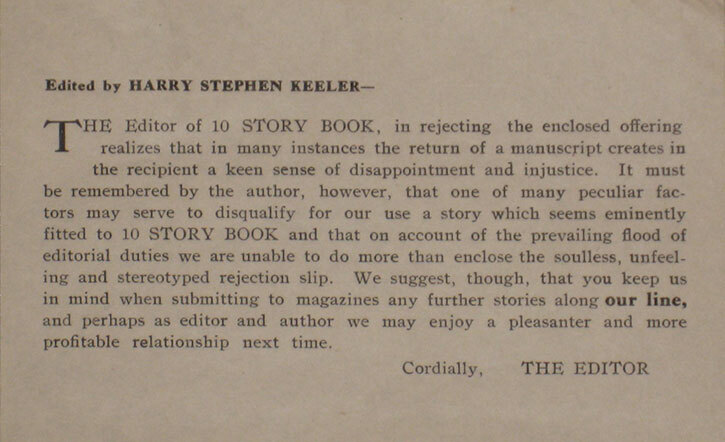 One of the more commonly neglected material aspects of print and publishing culture is the form rejection letter. 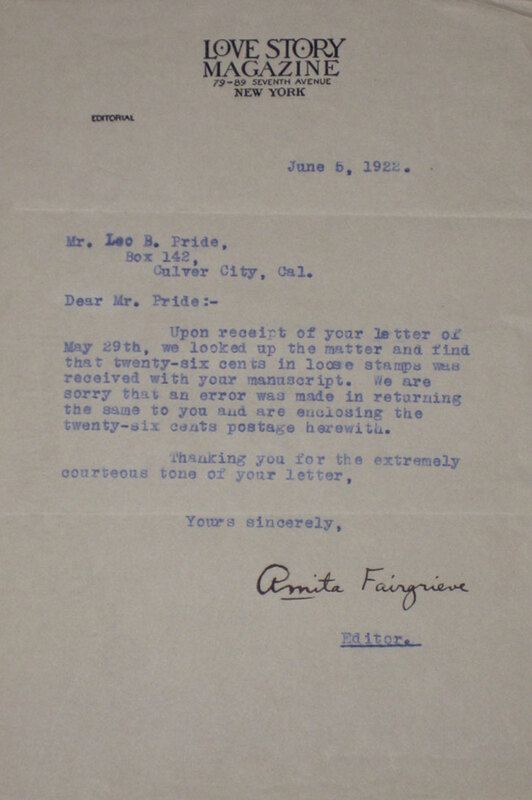 The images below are examples of form rejection letters from well-known pulp magazine publishers of the early twentieth century, including Street & Smith Corp., the Ridgway Co., and the New Fiction Publishing Corp. The letters pictured here are all from the early 1920s. New images will be added as they become available. Street & Smith Corp., circa 1920. 10 Story Book Corp. (Chicago), 1920. 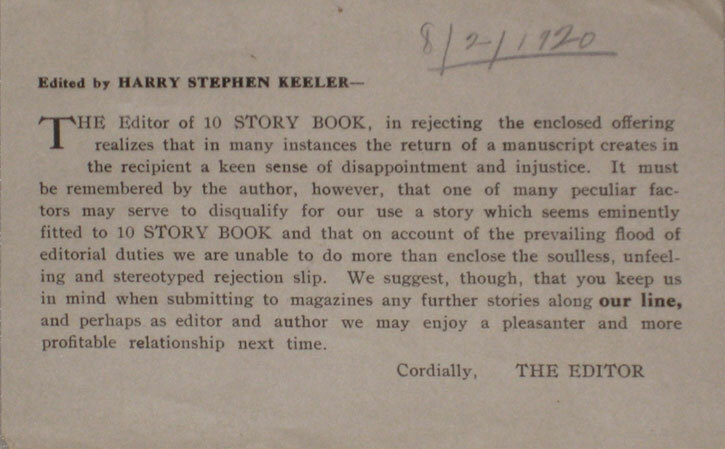 Harry Stephen Keeler was editor of 10 Story Book from 1919-1940. 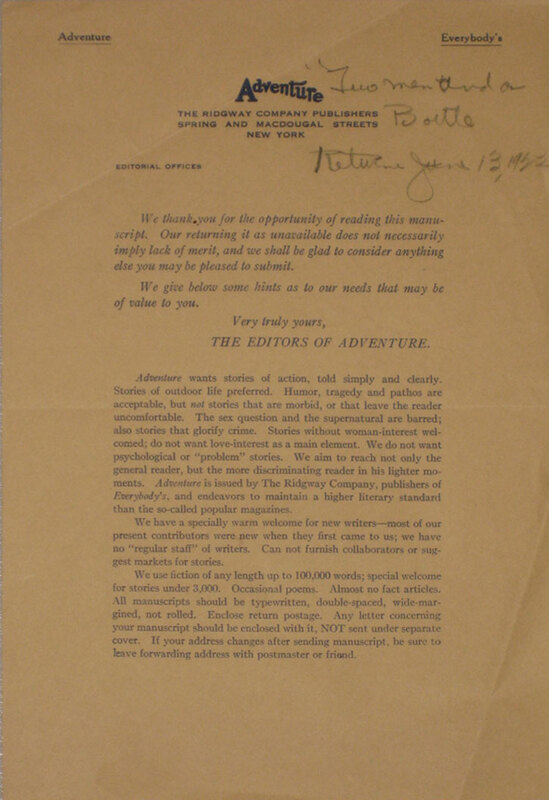 Adventure, The Ridgway Co., 1922. 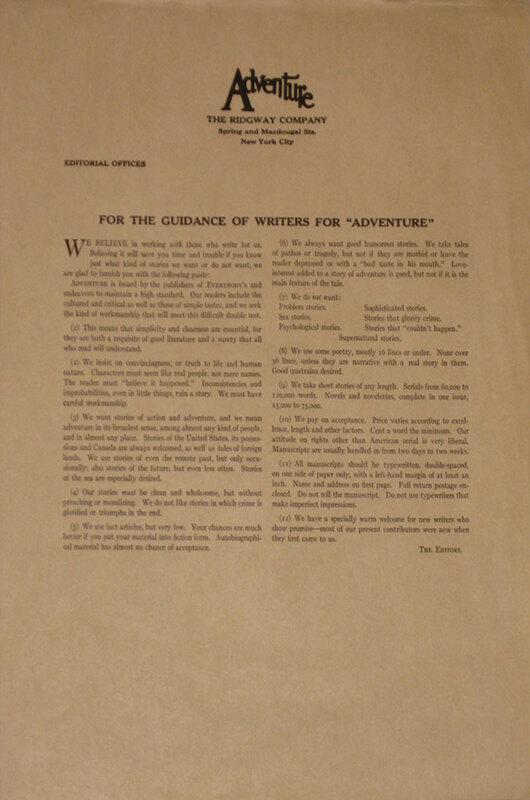 For the Guidance of Writers for 'Adventure', circa 1920. 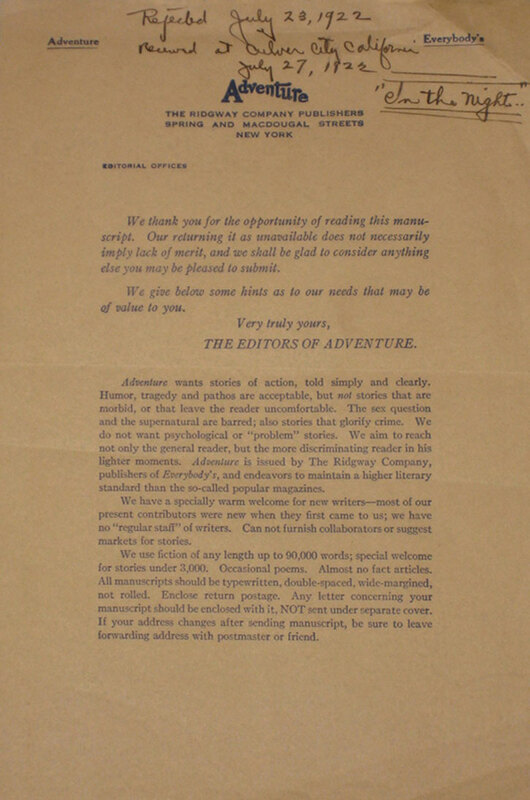 Adventure, The Ridgway Co., 1923. Love Story Magazine, Street & Smith Corp., 1922. 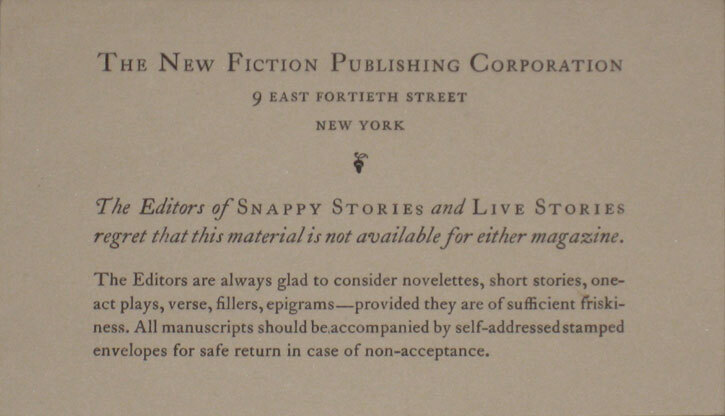 The New Fiction Publishing Corp., circa 1920.